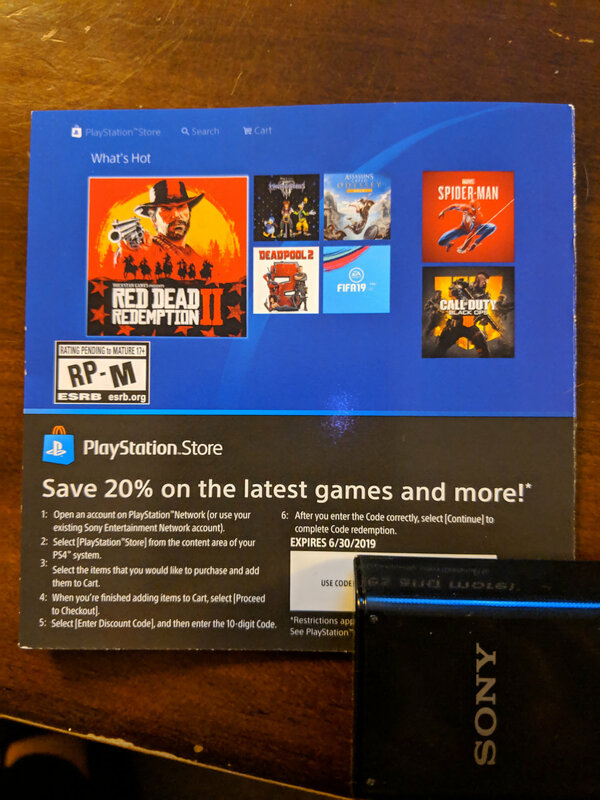 Hey folks I bought a system in the US that came with a 20% discount on PSN purchase. As I live in Canada I apparently can't use it (called customer service and nothing they can do for me). Soooooo.... 1st one to DM can have the code. Code expires 6/30/2019.